Sevilla is the capital city of Andalucia, a province in southern Spain, is the fourth largest city in the country. It was founded by the Romans and some archaeological remains can still be found throughout the city, though in 712 it was taken by the Moors. "The Moorish urban influences continued and are present in contemporary Seville, for instance in the custom of decorating with herbaje and small fountains the courtyards of the houses. However, most buildings of the Moorish aesthetic actually belong to the Mudéjar style of Islamic art, developed under Christian rule and inspired by the Arabic style. Original Moorish buildings are the Patio del Yeso in the Alcázar, the city walls, and the main section of the Giralda, bell tower of the Seville Cathedral." (Wikipedia) In 1248 Andalucia was conquered by the Christians and the city continued to expand under Castilian rule. After the discovery of the New World by Christopher Columbus, Sevilla entered a Golden Age after being awarded a royal monopoly for trade with the Spanish colonies in the Americas. It thus became a hub for the riches flowing from the colonies until the monopoly was broken in the late 16th century and a plague wiped out half the population. Through the 18th and 19th centuries, Sevilla was a modern city and an important industrial center for products like tobacco and ceramics. In 1929 it hosted the Ibero-American Exposition which is when many of its now most famous sites were constructed, including the Plaza de España. Sevilla is the warmest city in Europe and we certainly got a taste of that when one of the days there was 110 degrees Fahrenheit. It has the largest economy in southern Spain and hosts a variety of festivals each year that speak to its rich and varied culture, like the Feria de Sevilla every April and the Semana Santa, or Holy Week. 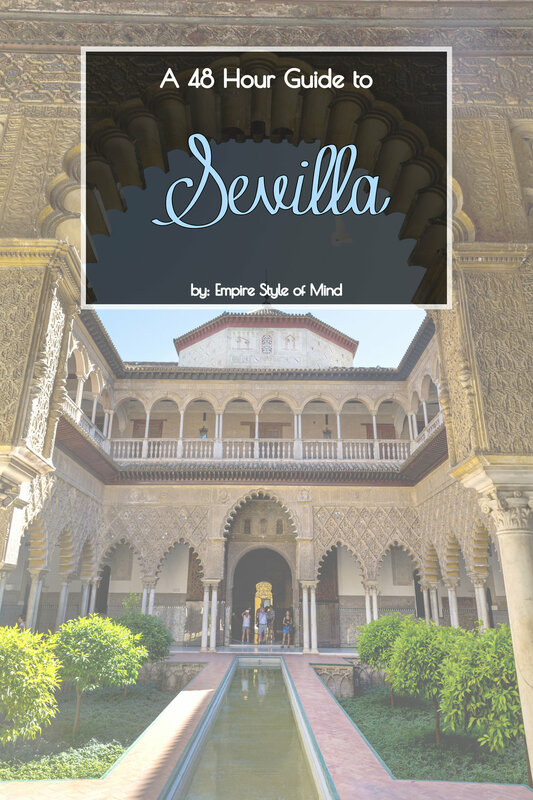 **This guide is based on research that I did to plan my trip to Sevilla and based on my own experiences while there. Of course, two days in any place does not make me an expert, and I would love to hear any and all additional suggestions so that I may add them to the guide.